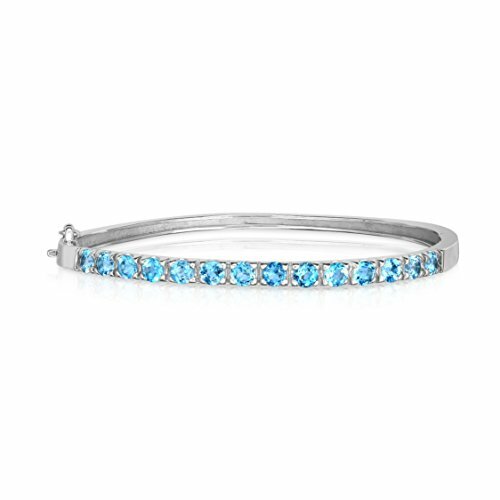 Crafted in .925 sterling silver, this beautiful bangle features 1.50 Ct Blue Topaz stones. The bracelet is secured with a box with tongue and safety clasp. The total carat weight may range from 1.50-1.55 carats. The product comes with a 30 Day seller warranty. If you have any questions about this product by Noray Designs, contact us by completing and submitting the form below. If you are looking for a specif part number, please include it with your message.